Our Conservation & Environment Project in Peru is based deep in the heart of the Amazon Rainforest. Volunteers stay at the 476 hectare Taricaya Ecological Reserve and take part in important research work. This project offers you the chance of a lifetime to visit and help preserve the most diverse ecosystem on the planet! At Taricaya you will get to take part in exciting work, such as helping with Peru’s first official animal rescue centre. This has recently been recognised by the Peruvian government as the best and most effective of its kind in the whole country. You can also work on biodiversity studies into all types of flora and fauna. Taricaya has South America’s highest canopy walkway, a freshwater turtle project, and a pilot farm. Throughout your stay you will be supported by our team of expert staff. You do not need previous experience to take part in this project. Volunteers are welcome on a gap year, a career break, for university research, or as part of a summer holiday. This project is perfect for anyone who is outgoing and has a passion for wildlife. You will get hands-on, practical work experience and learn about the incredible work that goes on at Taricaya. What is my role on this Conservation & Environment project? What are the aims of this Conservation & Environment project? Where will I live on this project? Observing birds from a canopy platform. Studying mammals with motion-sensitive cameras. Researching reptiles, amphibians and butterflies. Helping to grow crops such as bananas, citruses, avocados and chillies on a pilot farm. Helping staff with the butterfly and turtle breeding programmes. Volunteers follow a timetable and normally work between 4 and 6 hours each day. Some of the work is seasonal and you will work on a variety of tasks during your time in Taricaya. Some morning tasks start early. There is also plenty of time in the evening to relax after work. You will normally rest during the middle of the day to avoid the midday heat! The main aim of this project is to help the local area recover from previous disturbances. We also want to have a positive impact on the ecosystems at the Taricaya reserve. Projects Abroad was officially awarded the Reserva Ecologicà Taricaya in 2004. We produce a technical report every year to demonstrate this impact and justify our work. The data for these reports comes directly from our volunteers’ daily observations. Thanks to this work, Taricaya is increasingly recognised internationally as a research centre. It has contributed a number of important research papers at international conferences, especially in the field of ornithology. Another aim is to help local people avoid potential damage to the environment. They help us with our conservation projects and we help them with their farming. We have a model farm which we use to pass on ideas and techniques to local farmers. We then support them - growing food along with livestock management and crop rotations. 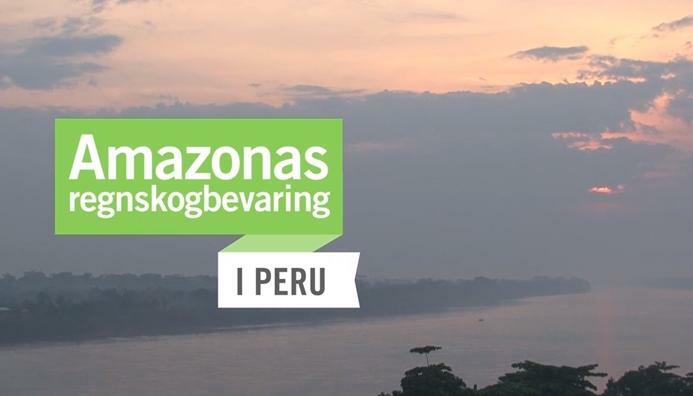 We hope that the new Trans-Amazon highway will also bring in tourists and make cash-crop production more profitable. Releasing captive animals (such as exotic pets) into safe environments is another key part of our project. Taricaya has been officially appointed the first Animal Release Centre in this part of South America. We are pioneering this concept and have already released many animals back into their natural habitats. All volunteers stay at the Taricaya Ecological Reserve, which is owned and run by Projects Abroad. Accommodation consists of basic 4-person wooden bungalows with private bathrooms. There is also a large kitchen and dining area, research laboratories, a communual lodge to relax in, and much more. We make sure that you will be well looked after even in the middle of the jungle! Volunteers can visit also visit the Amazon Planet Lodge next to Taricaya (5 minute boat ride or 15 minute walk) during their time off. The nearest town is Puerto Maldonado, around an hour away by boat. Volunteers have the option of visiting the town at weekends. Here you will find hotels, bars, shops and internet access. This is also where volunteers are picked up from the airport when they arrive. You can join the Conservation & Environment project in Peru for one, two or three weeks if you don't have time to join us for four weeks or more. This project has been selected by our local colleagues as being suitable for short term volunteering for both the host community and the volunteer Although you will gain a valuable cultural insight and work within the local community please be aware that you may not be able to make the same impact as someone volunteering for a longer period. Volunteers who are qualified in the field of Biology, Environmental Science or a related subject are always welcomed onto the project and will work alongside our experienced staff helping with research projects, daily tasks and developments at the ecological reserve and compiling reports. You will be encouraged to discuss and exchange ideas with the team.